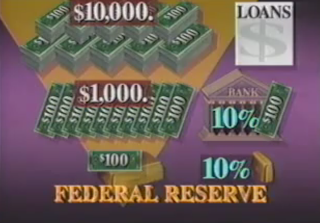 After Federal reserve has been established in 1913, in the very next year US government entered into world war I. (1914 - 1918). To finance this war, government printed money, and temporarily abolished gold standard in this period. After the world war - I, US Government returned to Gold standard. But already printed excess money is circulating in the economy and when people started redeeming Dollars with Gold, the Gold reserves of the government is eroding quickly. At this period, Government started keeping only 10% of the gold for backing and creating dollars for its money requirements. It also allowed banks to keep only 10% of their deposits as backing. When credit is easily available, people started taking loans and investing in new projects. This resulted in employment, new equipment, cars etc. But behind this growth is excess money created Federal reserve. In 1929, the expansion bubble bursted. 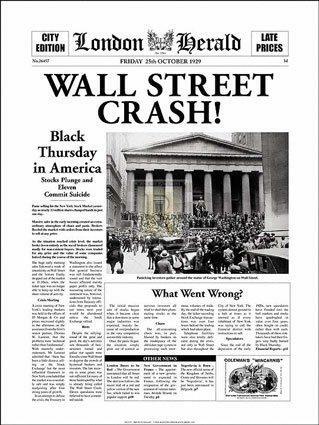 US stock market crashed on Friday 25th october, 1929 eroding 1/3 of the wealth. The result of the crash had the following repercussions: Banks have $7 billion outstanding. 6000 banks went out of business. 9 million savings accounts vanished. 85000 businesses went bankrupt. 13 million people were unemployed. 400,000 family farms were repossessed by the bank. 2600 schools were closed. Admissions to mental hospitals went up by 300%. 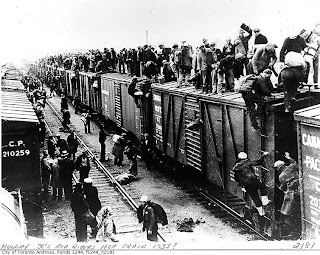 2 million men became homeless. Suicides went up by 30%. US economy went into depression. Lack of gasoline made car owner pulled their cars with horses. 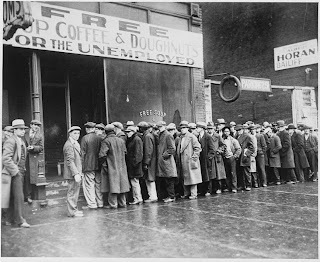 Unemployment reached 25%, and free coffee and snack bars were opened by US government for unemployed. 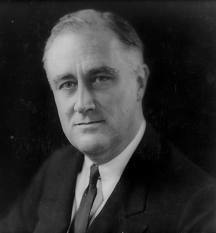 As depressed deepened people started leaving cities and moving to rural areas called "shanty's"
On march 4th, 1933 Franklin D Roosvelt became president of US. In this very year, he has given a historic order to the people of US. He ordered each citizen of US should deposit their Gold for $20.67 per ounce. And He annulled the Gold exchange for the US citizens. With this enactment Government need not pay any gold to its citizens in exchange of dollars. He confiscated the gold of the US citizens with a stroke of pen. With the gold collected from the public, He started a lot of public works to create employment. One of them was construction of $13 billion Tenesse valley project to give free power to the people. Though these measures created more employment, People started feeling the high prices year after year. 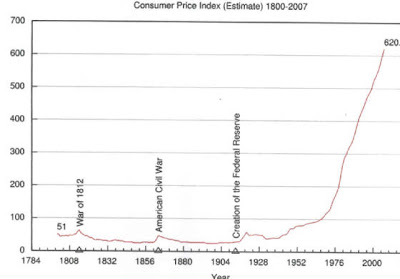 Now you can see clearly, that after 1933 the price levels never subsided. Prices went up temporarily at the times of wars and came back to normal once gold standard came to existence. 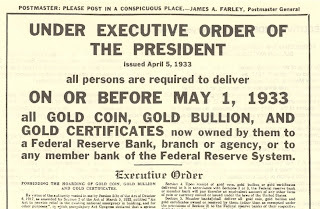 Once Gold standard is abolished in 1933, prices never came to the normal level. In 1971 the president of US, Mr.Richard Nixon, has abolished Gold exchange for foreign countries. 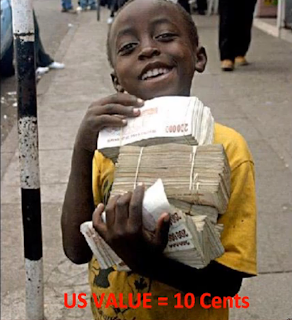 Since then Dollar is not pegged to gold but float according to demand supply of the dollar. This is the last nail on the coffin. Now the most important point here is the effect of Interest. Suppose in an economy Rs.1000 will be given as loans at an interest of 10%, people have to pay back all their loans with interest of Rs.100. So people have to pay Rs.1100. So where do people get this extra amount? To cover the interest expenses, Governments' have to print more money year after year. Otherwise there are always some people who default on their loans. So the excess printing of money leads to rising prices or inflation. Inflation of 5% for an economy like India is acceptable. Inflation is in control when the projects give considerable return for the money invested. If not it leads to inflation. This is the reason why wars are always inflationary. If money is printed to create a bomb, Nothing will be added to the economy. But the money is getting circulating in the economy leading to Inflation. Why governments need money even when there is no war? Governments need money to pay salaries of government officials, diplomats and civil servants. In a balanced economy, the money it gets from taxation is enough to cover these expenses. What if the government wants to start a scheme for the poor or to take up some projects like constructing roads to rural areas, dams to improve irrigation etc which may not be taken up by private people if they are not profitable. As long as the spending of the government is leading to more production or helping people get more production, people of the country can bear the inflation for some time being. But governments always try to come to the power next time. They think for the short term goals. They try to use the power of printing money out of nothing to fund its populist schemes and to cover ever growing interest expenses year after year. So inflation is like indirect taxation. Our pay check is getting shrunk year after year due to rising prices. We have to work harder to be in the same place. When government won't act responsibly to control inflation, it leads to catastrophic results. 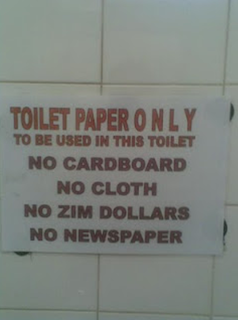 In Zimbabwe, government started printing more money to cover its expenses and even printed one trillion Zimbabwe dollar note. So Inflation is everywhere and it is a monetary phenomenon. Because our past leaders have chosen this expansionary banking system, prices year after year grow up by certain percentage but as long as it is in control we lead our lives with certain degree of comfort. That is why, keeping money as a fixed deposit in the bank may not fullfil one's financial goals when prices are growing very fast. So we have to search constantly for more ways of protecting the value of money by investing it properly. Banks protect money only from inflation, So keeping money in Bank is never an investment.